Up near the top of Bloom’s taxonomy is “evaluating.” A great use of this level of thinking is to evaluate a character’s ethical choice. But we can go deeper! Let’s ask students to evaluate characters’ actions based on another character’s point of view. To add another layer, we’ll teach kids about philosophers and use their points of view as well. 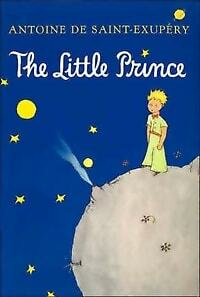 It all started with The Little Prince, an incredibly deep novel that’s easily readable and clocks in at 100 pages long. The class read it as a novel study, but I felt like we barely scratched the surface of its layered meanings. Sure, we could have studied this novel until the end of the year, but there’s so many other great novels to expose students to. So how do we continue to take advantage of a novel’s depth? I decided to invite The Little Prince over to our next novel study by reusing his unique point of view. So, as we read From The Mixed Up Files of Mrs. 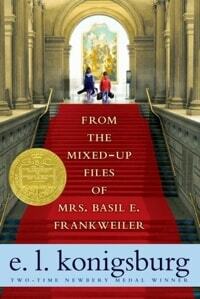 Basil E. Frankweiler, students evaluated how The Little Prince would judge Claudia, our new protagonist. The word “philosophy” conjures up images of wizened men in togas arguing about impossibly abstract topics. But teachers have philosophies about education, our students have philosophies about homework, and parents have philosophies about raising their children. A philosophy can be practical and concrete. Let’s use philosophies to push our students’ to higher levels of thinking. I explained that a philosophy is a character’s big idea towards an ethical issue. The Little Prince believes that spending time with the things you love is important. This philosophy drives his actions and interactions. Begin with a couple examples: I used my imaginary character, the extremely mean teacher named Mr. Boid, as an example, contrasted with Ms. Frizzle from The Magic School Bus. Mr. Boid’s philosophy is to punish children until they do what he asks. Ms. Frizzle’s philosophy is to give students exciting, real-life science opportunities, (even if it puts students in mortal danger). The Brick Pig: Hard work pays off. The Giving Tree: Giving is the most important action, even if it means sacrifice. The Time Traveler: Satisfying curiosity is even more important than personal safety. The Brick Pig would approve of Claudia’s plan to run away, because she has put so much hard work into planning the escape, but The Giving Tree would not approve, since her plan is selfishly motivated. But we can go even further! Socrates: Evil is caused by ignorance. Aristotle: Friendships with selfish purposes lead to problems. Confucius: Elders should be kind to youth, and youth should be respectful to elders. Descartes: Begin by doubting all things. Socrates would not approve of Claudia’s plan because she is acting out of ignorance of how much her parents love her, but Aristotle would approve since she’s strengthening her friendship with her brother. The best part is when students’ opinions differ. Some might apply Aristotle’s philosophy differently, arriving at a conflicting conclusion. With this simple introduction, you will expose students to hugely influential thinkers, give them insight into the “meaning of life,” and broaden their perspectives when analyzing characters. After a few lessons, students will be discussing the morality of character’s decisions using the philosophies of The Little Prince, Socrates, and Confucius.